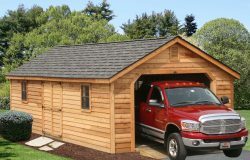 We love the shed, and so do our customers!! Ed says come and visit and the delivery was perfect too. 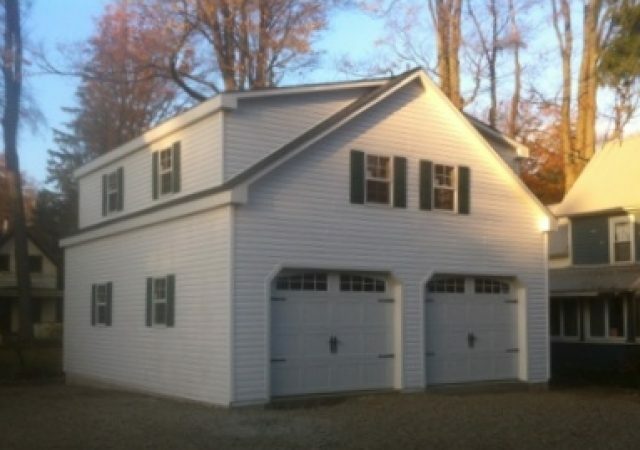 Let me say this; I shopped around for about 2 years before making the decision to trust Stoltzfus Structures to take on my 2 car garage project. 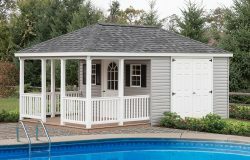 I visited your location and was very impressed by the build quality, design, and overall appeal of the sheds and garages Stoltzfus Structures offered. 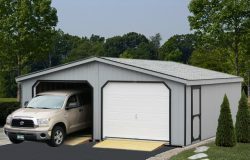 I had extremely high expectations of what my new garage would look like and how smooth the process would go. In short, let me say this…. I was absolutely BLOWN AWAY!!!! It is beautiful. 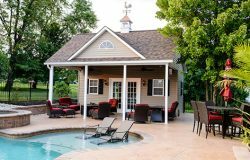 From our first phone call to start the project until the day the garage was complete Stoltzfus Structures provides what I would call a world class experience. Every step was well communicated, on time, and exactly what was promised. Most importantly the price was competitive. In fact, I know I got more for my money choosing Stoltzfus Structures. I could not be happier with the entire process and the final results. As for the people involved, every one of them was top notch. From the first team that came out to build the retaining wall and pad for the garage to the delivery team (WOW that was amazing to watch!) to the finishing team all of them polite and professional, again simply top notch. Let’s not forget the folks at the office all of them were great to work with. So, am I satisfied? Very, very satisfied. 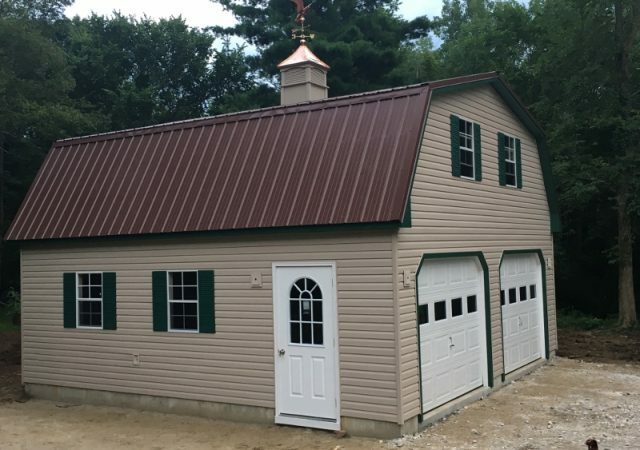 I will say this to anyone in the market for a shed, garage, or any product or service Stoltzfus Structure offers, DO NOT go any place else Stoltzfus Structures will exceed your expectations and you will not be disappointed. 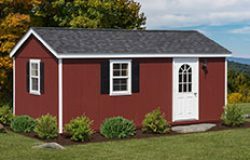 Here is my 12 x 22 ft. shed I purchased from Stoltzfus Structures. VERY well pleased with everything. 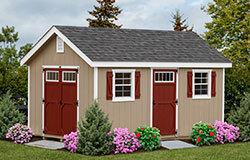 I contacted Heidi Smith SEVERAL years ago to plan and purchase my shed. However, due to some unforeseen health issues I had to continuously postpone my purchase. Heidi was VERY patient with me and NEVER had a harsh word to say concerning my delay(s). I eventually prepared my ” base” as instructed on their website. Glad I did as my backyard tends to hold some water during heavy rains This stone base will allow for plenty of drainage during storms and/ or a harsh Winter. 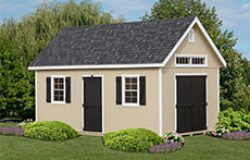 Between my ” order ‘ and delivery I received my shed in about 3-4 weeks. 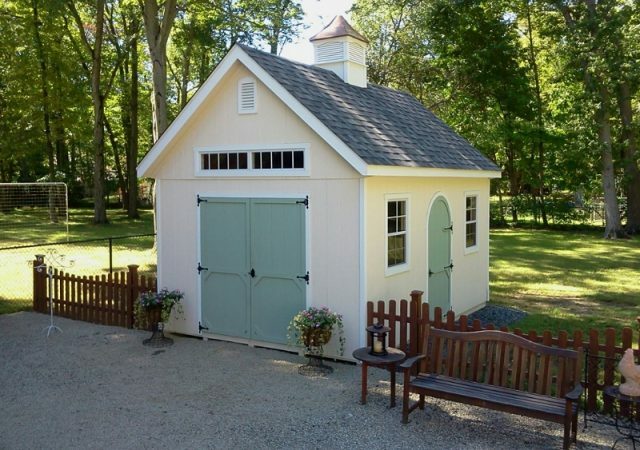 VERY nice shed. Installation took less than an hr. with the help of their “mule” and Joe/ Delivery man was: informative, helpful and very courteous. 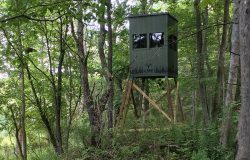 He placed my shed just as directed. 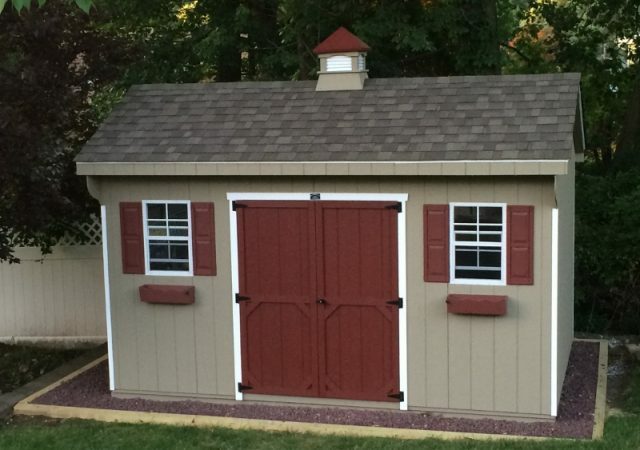 As you can see from the pictures…a NICE Looking shed and base. A ” High Five” to Heidi and Joe. 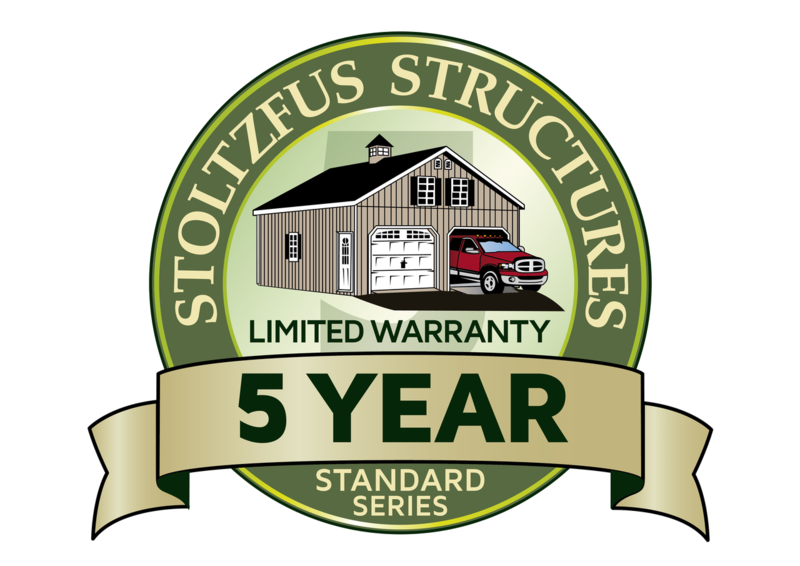 I would Highly recommend Stoltzfus Structures for: Price, Service, Quality !! I shopped around and NOBODY around could beat their price(s). Just want to thank you, your builders, site workmen, and the delivery guy for a great job on our shed/garage. A great job from all involved. It looks great. 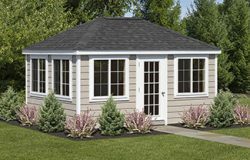 I will highly recommend Stoltzfus Structures to everyone I know! You have an excellent crew working for you. 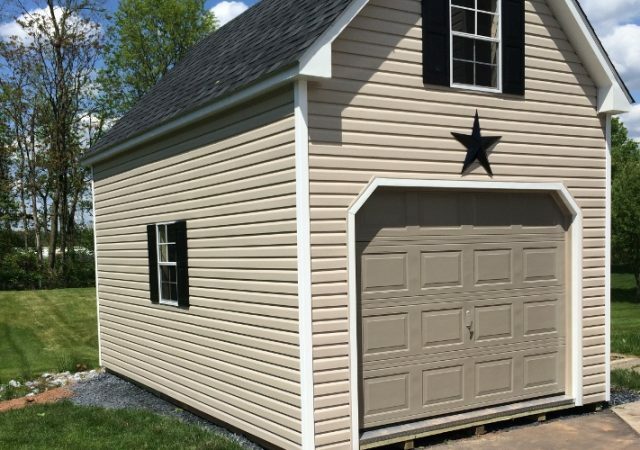 Our new double-wide turned out exactly as we hoped it would. It was enjoyable to watch Chris and his crew work as a team and their professionalism was very much appreciated. I personally do not subscribe to Facebook but we understand it’s value because we also have a wedding floral business. I will ask Priscilla to give you a five-star rating and write a review. Please extend my thanks to Mark and Dan for their patience in regards to the changes that we made to comply with our local government. 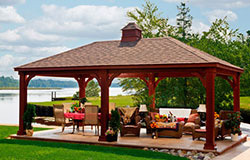 We will also forward your information to our customers and friends if they show interest in having a structure built. 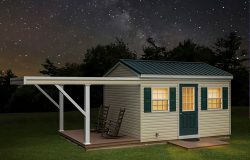 My shed was delivered Friday and it is so nice! I just wanted to reach out and say what a great experience from start to finish it was. 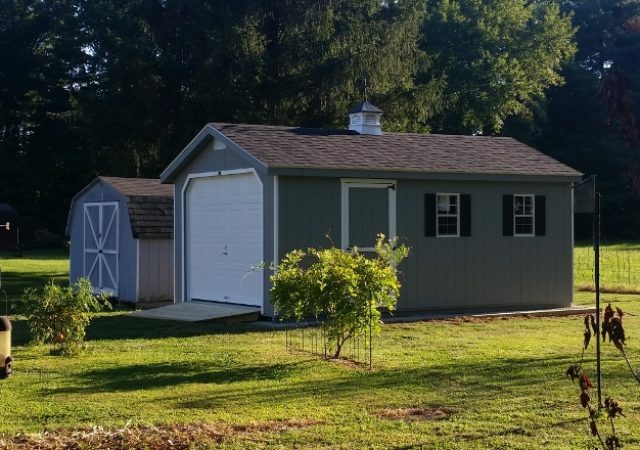 Also, I can not say enough good things about Paul, the nicest guy that made the delivery he handled the shed with care and did an amazing job getting it into my yard. It was a very tight spot and not an easy job by any means and he did it flawlessly and with the utmost care for my newly sided home. I look forward to sending you customers! Just wanted to thank you & all that worked on the garage, it came out beautifully, the guys were great to have around & worked really hard, even got caught in a downpour, we had lunch for them one day. Thanks again & thank the guys as well for us. 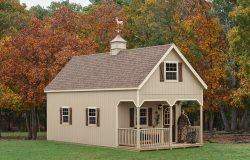 I had researched Sheds for about 6 months… I looked at many websites and visited a number of places to see sheds in person. 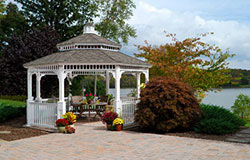 There truly is a lot of difference in the quality of the material and workmanship involved. 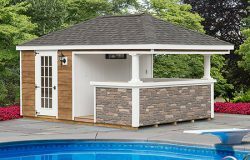 I came across your website and was impressed with what I saw… then found out my cousin in Central NJ had just bought a shed from you and was very satisfied. 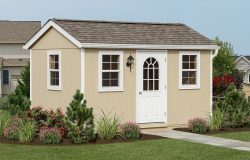 I ordered a that needed to be built on-site. The entire process was a breeze…. As soon as I submitted my order, your Sales Manager –Heidi, called me to review and made some great suggestions. 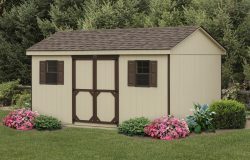 The team that came to build and set up my shed were great guys. 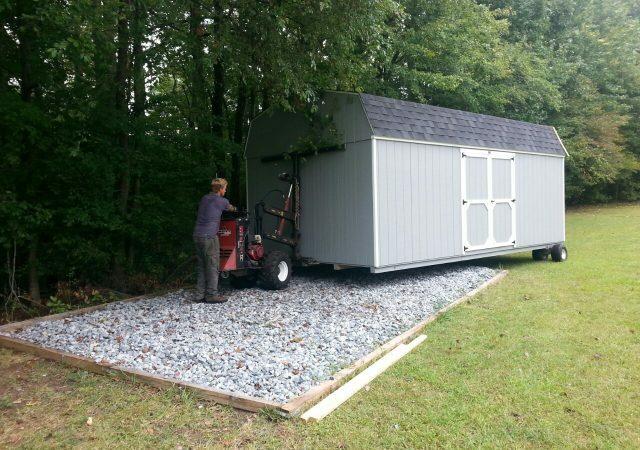 The shed was up and complete in 3 hrs !!!! Truly impressed with the product, process and people. Thanks !! 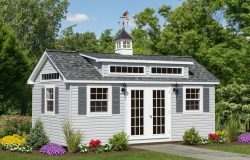 I just wanted to thank you for the wonderful shed. I am very pleased. Your guys did a wonderful job and even hung my star. You guys are the best! God Bless you and your Family. From my house to yours. Hey Junior, thanks for checking in. The delivery went great. Moses was outstanding. It was impressive watching him maneuver the Mule up our long driveway, around tree branches, and then through a gap in our bushes. He was very conscientious, being very careful to make sure we were happy with the placement. 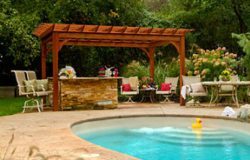 We took one of the brochures that showed the pergolas that you build. We have a pool so you’ll see us again the summer of ’17! 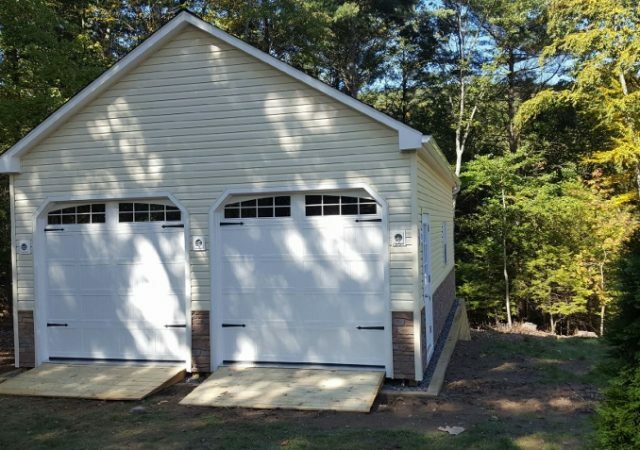 We like our new garage a lot. Dan who trucked the building to Lily Dale impressed us with his expert placing of the sections on the concrete pad. The finishing crew was equally impressive. They worked hard with care and agility. Daniel, the leader, has a heart full of joy. It was a pleasure to meet him. Many people in Lily Dale have praised the building. 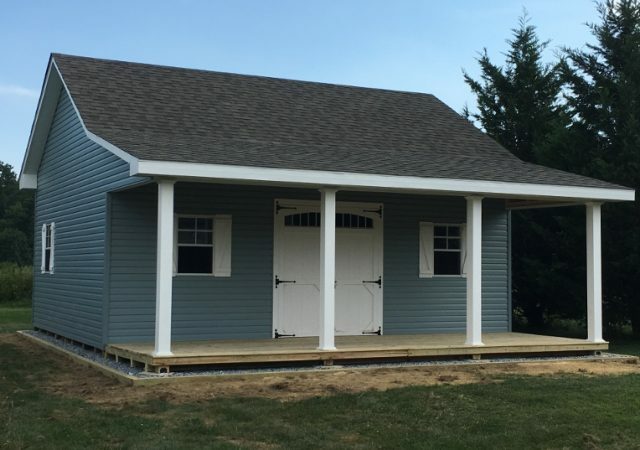 It is the first new building on the grounds in many years. 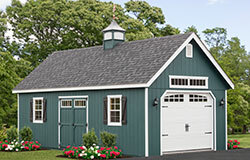 Many of the structures were built in the 1890’s, including our cottage next to the new garage. Daniel says the Enforcement Officer left smiling; that is always a good sign. the strength of the building. I believe we will do well. Thanks for all you did on your end to bring about this happy result. 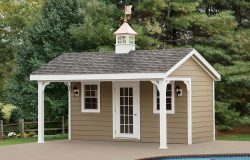 I am super thrilled with my Stoltzfus Shed! Throughout the whole process, Junior was so Patient and Professional while handling my million questions! 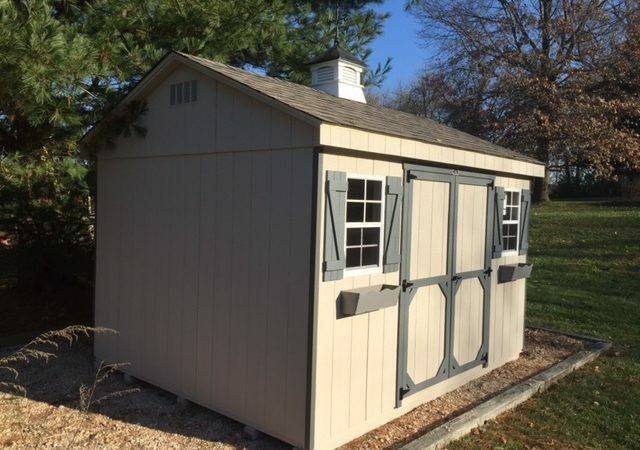 My shed was delivered as promised and I cannot say enough about the quality of the finished product. I can’t wait to order my next one! Thanks so all for a seamless transaction!